“Respect for People – Treat all people with respect and concern. We shall strive to develop our core strength – Our People – by being the wind under their wings, allowing them to realize their full potential.” – Excerpt from Core Values of the ‘House of Ramapuram’. 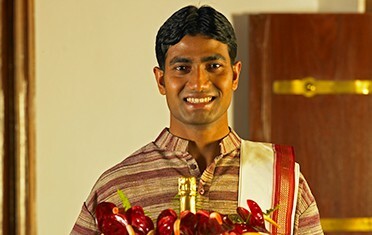 Evolve Back Resorts owes its success to its people, who truly form the soul of the organisation. And indeed, excellent human resources have been our biggest asset throughout our history and growth. The 800 and more people working with us are a family, collectively striving for excellence at all levels. They are continuously trained and constantly mentored by experts who represent the best from the fields of Hospitality to Responsible Tourism. Through our people, we endeavour to and successfully deliver truly life-changing experiences to each of our guests.